Last year, NASA and Made In Space teamed to send the first microgravity 3D printed into space. This allowed them to test the feasibility of printing objects on-demand from the International Space Station (ISS). The objects, which were 3D printed on the ISS, ended up being sent back down to Earth where they have undergone further testing. This has proven that, without a doubt, 3D printing will have a huge future outside of Earth’s atmosphere. The technology promises to allow astronauts and space explorers to go further and worry less, while organizations like NASA will be able to save a lot of money on the reduction of payloads. This apparently has left researchers in China anxious to catch up, as today it has been announced that the Chinese Aerospace Institution has teamed with one of China’s largest manufacturers of desktop 3D printers, Tiertime, to try and come up with their very own microgravity 3D printer. Using their popular UP Plus 2 3D printer as a base to build upon, Tiertime will be looking to make changes to the printer’s dynamics to allow it to print in outer space. These changes will need to focus on the cooling system, extruder movement system, the material feeding mechanisms, distance control between the printer’s bed and the nozzle, and the fixation of the 3D printer itself, so that it doesn’t begin floating around in space. When it comes to technology, especially that of 3D printing, China has been doing a fairly good job of keeping up with the United States and much of Europe, so it comes as no surprise that they too would want to begin experimenting with 3D printing in space. Those involved say that this initiative is very much in line with the recently laid out “Made in China 2025” campaign which has been outlined by the Chinese Government. What do you think? Will China meet or even surpass the accomplishments that were seen by NASA and Made In Space last year? 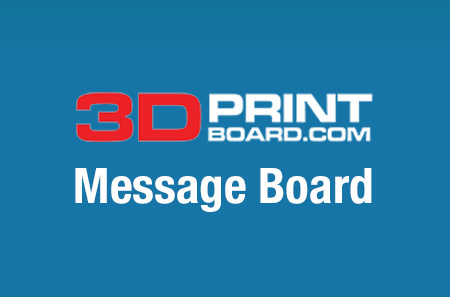 Discuss in the TierTime to Make Microgravity 3D Printer forum thread on 3DPB.com.